We hope it's pretty evident that we care about our clients and making sure we deliver the best experience possible. But, our care doesn’t stop there. By listening to our clients and our employee's passions and by being active participants in the communities we are located in; we have had the opportunity to support some amazing foundations and other great causes. Every child deserves to be safe, healthy and loved. Our C2 team in Seattle was pleased to support the NW Children’s foundation as the design and print sponsor for the 2018 Golf Classic. We find no greater pleasure than investing in the safety and health of our children. We are proud to help children and families in our community through this fantastic foundation. Please mark your calendars for the 2019 NWCF Golf Classic on Friday, September 13 at The Golf Club at Redmond Ridge in Redmond, Washington. To learn more about NW Children's Foundation, please visit their website. 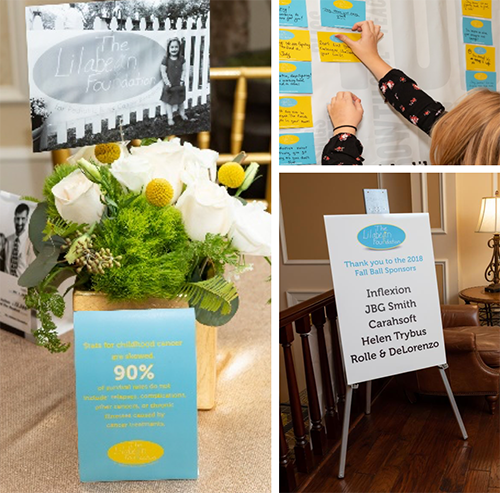 We were pleased to have supported The Lilabean Foundation’s Gala Ball and Golf tournament through print materials. The Lilabean Foundation for Pediatric Brain Cancer Research (LBF) seeks to fund critical childhood brain cancer research and to help raise awareness of the severity of this fatal disease. To learn more about the Lilabean Foundation, please visit their website. C2 Imaging was grateful to participate in their fundraising event. The Gabby Krause Foundation was started because of Gabby’s special wish. 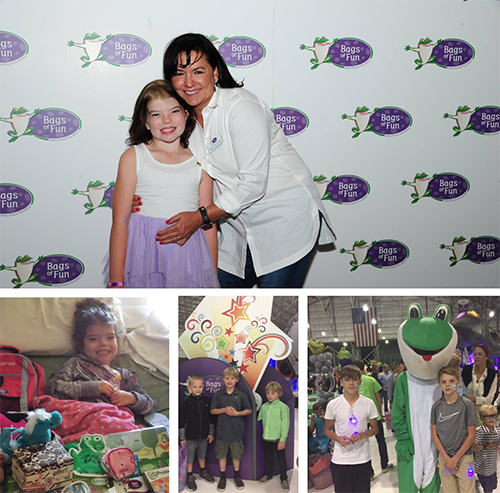 The signature project, Bags of Fun, was created in the spirit of Gabby’s original bag of toys and fun activities that kept her happy and silly during hours of chemotherapy and treatment. The Bags of Fun program is a journey that began in 2004 when Gabby’s mother needed to help her focus on the joy of being a little girl and playing with My Little Pony dolls instead of needle pokes. This journey has grown into a movement to harness the power of play to instigate happiness when the thought of sickness and dying is at the forefront of families’ hearts and heads. To learn more about the Bags of Fun event, please visit their website. 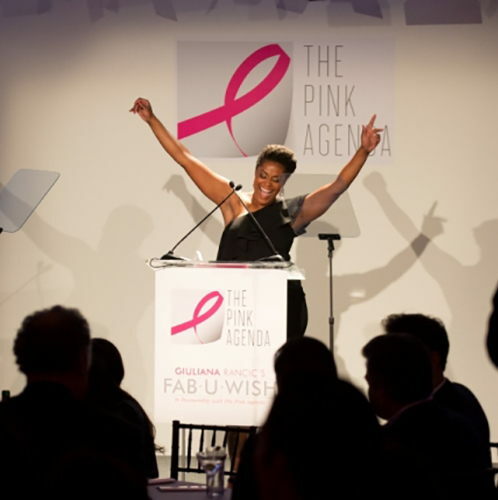 C2 Imaging was honored when The Pink Agenda asked for our help in printing invitations to their annual gala event. To learn more about The Pink Agenda, please visit their website. Our Chicago Team was proud to participate in St. Jude Hero’s; where they raised money through donations in support of St. Jude’s Children’s Research Hospital. To learn more about St. Jude's, please visit their website. C2 Imaging is pleased to support our future customers and clients by donating excess paper products to Warren Tech's Graphic Design program. The programs at Warren Tech really make a lasting impact on their student’s lives. Warren Tech is a premier career and technical education center offering comprehensive programs that connect academic knowledge to career-focused learning. 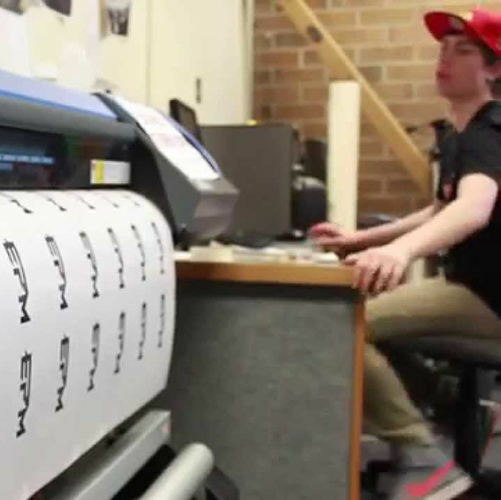 The Graphic Design program empowers students to create visual imagery to meet the industry demands of today. Students learn photography, logo development, package and label design, illustration, screen printing, and digital imaging. Students also learn how to work with clients and will develop an extensive portfolio. To learn more about Warren Tech, please visit their website. 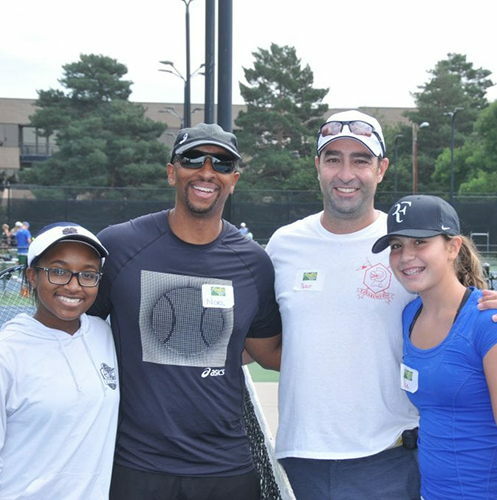 C2 Imaging is grateful to the Colorado Youth Tennis Foundation (CYTF) for allowing us to help you with your event for over 10 years. It has been our honor! Tennis is much more than a healthy sport. It teaches important life skills like self-confidence, sportsmanship, and teamwork. By providing individual player scholarships and program grants to kids and organizations, the CYTF ensures that juniors from small rural towns and from larger metropolitan areas benefit from the lifelong sport of tennis. To learn more about CYTF, please visit their website. The Denver Sales Team supported this incredible organization by making and serving breakfast to our local chapter of Ronald McDonald house. Since 1974, RMHC has created programs that strengthen families during difficult times. RMHC provides vital resources and compassionate care to children and their families being served by leading hospitals worldwide. Our network of local Chapters has been helping millions of families with sick children find comfort and support when they need it most. Our programs, tailored to meet the urgent needs of each community, can now be found in more than 64 countries and regions across the globe. To learn more about RMHC, please visit their website. Junior Achievement - Rocky Mountain, Inc. 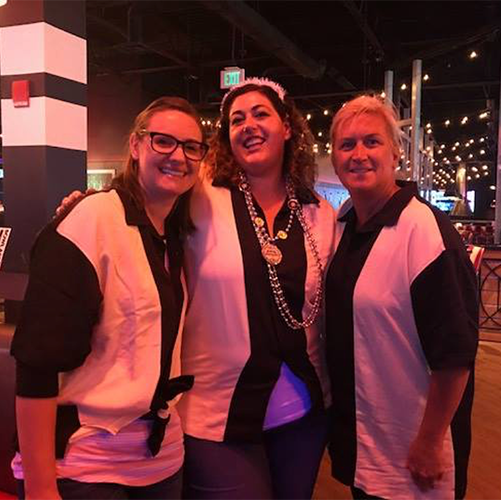 The C2 Imaging Denver team was recently invited by our client, ttec USA, to participate in a bowling tournament for Junior Achievement - Rocky Mountain, Inc.! We had a blast bowling for a good cause and celebrating our teammate's birthday! Junior Achievement - Rocky Mountain, Inc. (JA) is part of the world's largest organization dedicated to inspiring and preparing young people to succeed in a global economy. Their mission is to prepare young people to thrive in the 21st-century workplace and global economy by inspiring a passion in free enterprise and entrepreneurship, and instilling an understanding of personal financial literacy. To learn more about JA, please visit their website. 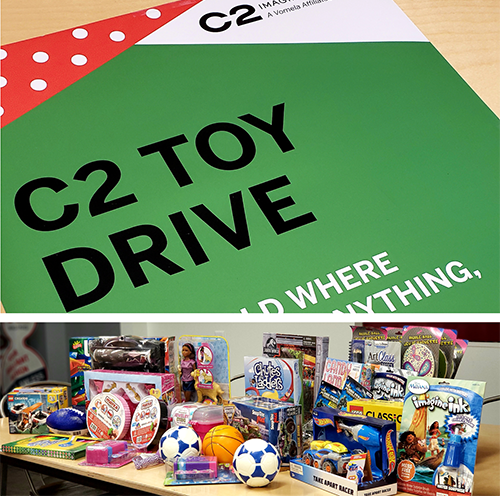 Team members from the C2 Imaging location in Englewood, organized an office sponsored toy drive to benefit local kids in need. The team donated new and unwrapped toys for kids ages 6-18! To learn more about Boys & Girls Club | Metro Denver, please visit their website. 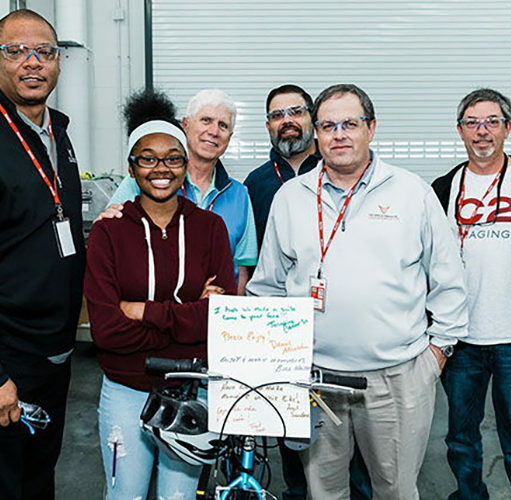 A group from C2 Imaging, our parent company, Vomela, and 3M recently took part in a team building experience to build and donate 6 bicycles, helmets, and locks to a group of students associated with the YMCA of the Greater Twin Cities (Y). At the Y, we value what everyone brings to the table. By nurturing the potential of every child and teen, improving health and well-being, and supporting and serving our neighbors, the Y ensures that everyone has the opportunity to become healthier, more confident, connected and secure. To learn more about the Y, please visit their website.